An Avenidas Novas property will guarantee you excellent value for money, thanks to its location in a highly valued area with many advantages such as beautiful green spaces, high-quality amenities, and high-end shopping possibilities. 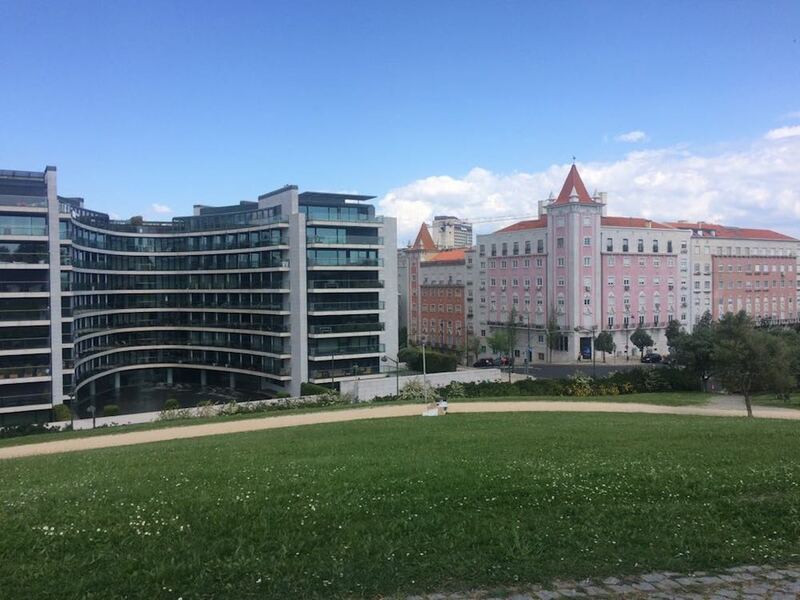 It is also known as a safe and calm area and in terms of architecture Avenidas Novas properties are built in the Portuguese art nouveau style, with many of its buildings dating from the first half of the twentieth century. The apartments are typically spacious and luminous. The area is located north from the Lisbon downtown: as the city grew, this is where the wealthier families moved to from the densely populated city centre or other parts of the country. Avenidas Novas property prices costs an average of Average price per sqm. in Avenidas Novas €5,098 -1% properties#: 589 last change on: 19 Apr 2019 €5,098 euros per sq. meter for apartments and Average price per sqm. 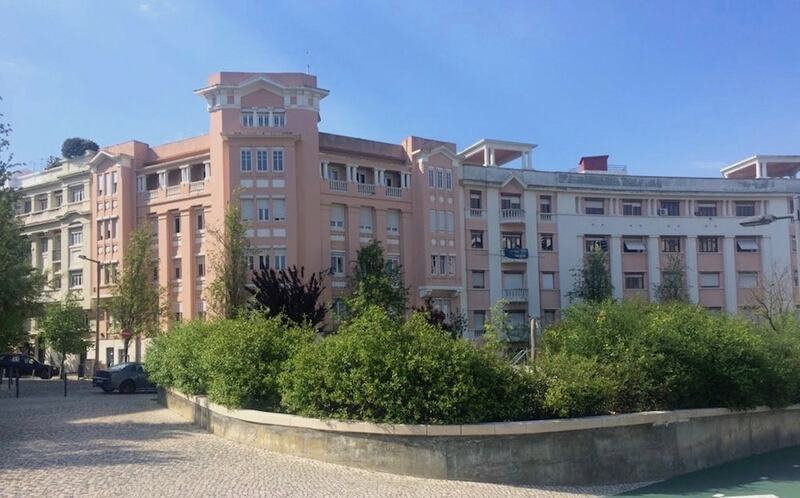 in Avenidas Novas €3,864 -1% properties#: 317 last change on: 19 Apr 2019 €3,864 per sq. meter for investments. The most renowned real estate agent operating in this area is REMAX with more than 100 listings, followed by ERA, JLL, Quintela & Penalva and Porta de Frente. The international interest towards Avenidas Novas as well as other Lisbon areas has grown in the past years. This is due to a tax benefit program called NHR (non-habitual residence) that attracts Europeans, namely French, Swedish, Belgian, and now a growing number of German nationals. The non-EU citizens can gain a Golden Visa by investing at least €500,000 in property. 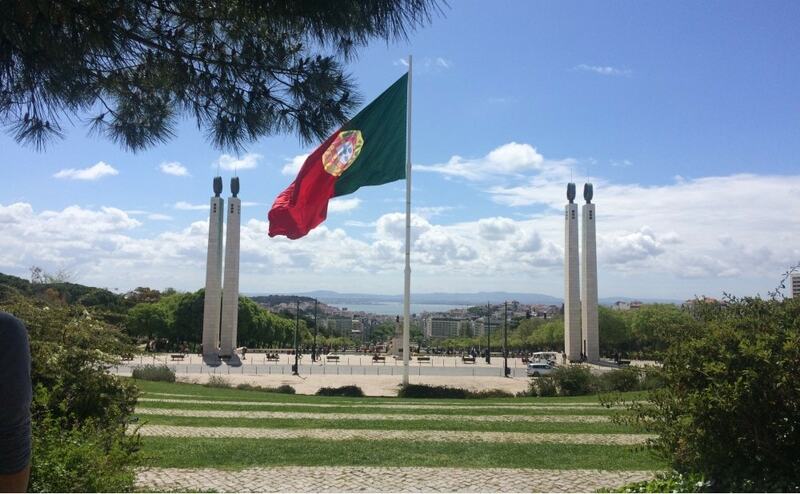 Avenidas Novas offers the best of Lisbon in many senses: it has many of the most beautiful avenues in the city, the area is well connected with good access to the airport and it is superbly safe too, being serviced by a police station in the neighbouring area of São Domingos de Benfica. The Curry Cabral hospital is located in Avenidas Novas and there are various health centres. Avenidas Novas is a good option for families, with the Astoria International School being less than 10 minutes drive away from the area. There are also many green spaces, such as the Gulbenkian garden, which surrounds the Calouste Gulbenkian Museum. The museum itself hosts a vast art collection and there is a concert hall offering interesting concerts from contemporary music to jazz and classical music. Avenidas Novas has a wide variety of offerings in terms of organic food stores, while Lisbon’s El Corte Inglés department store is also located in this neighbourhood. El Corte Inglés is known for its high quality offerings in terms of clothing, technology, cosmetics, and groceries – and it also houses a cinema. Campo Pequeno also boasts another shopping centre with a cinema and a modern food court, but this area is better known as a concert venue, attracting local and international stars. The most charming café in the Avenidas Novas area is Versailles. Opened in 1922, it maintains much of the original features and – of course – has an excellent selection of traditional Portuguese pastries. One of the principal advantages of living in an Avenidas Novas property is the neighbourhood’s location. While it is in the central Lisbon area, it is less busy than the Lisbon downtown area Baixa and its neighbouring Chiado. 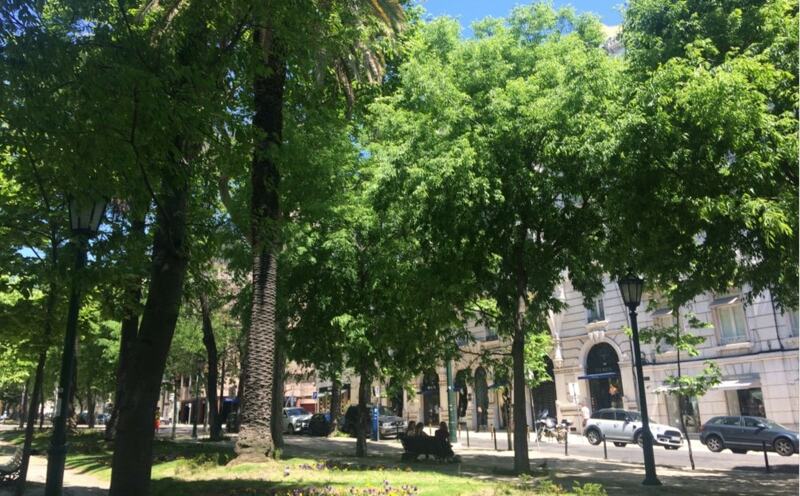 Avenidas Novas neighbourhood is very close to the best areas of Lisbon, namely the area of Avenida de Liberdade and park Eduardo VII. 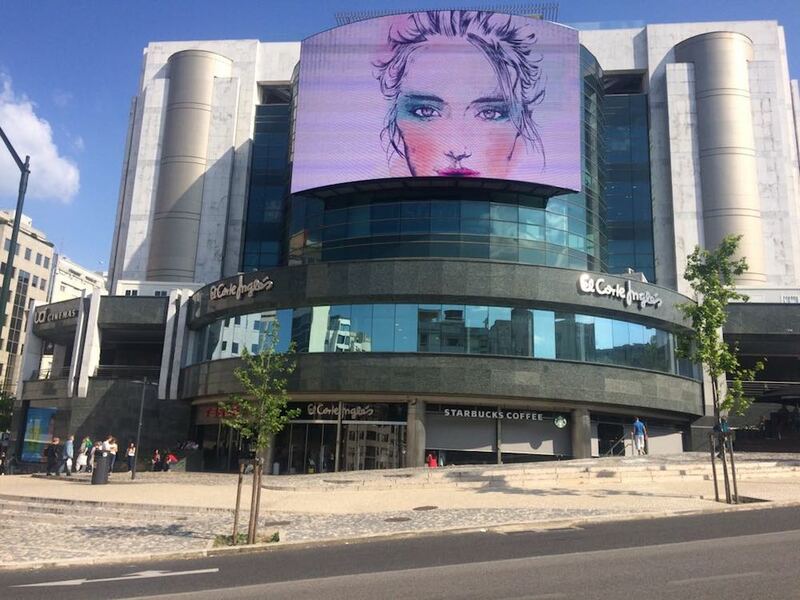 Avenida de Liberdade avenue is known for its upscale clothing stores representing many designer international brands. There are also stylish restaurants and cocktail bars on and nearby the avenue. It is also the home of Eleven, one of Lisbon’s top restaurants, distinguished with a Michelin star and famous for top-notch Mediterranean cuisine. There are two other Michelin-star restaurants within a short distance from Avenidas Novas. Both José Avillez’ Belcanto, with two Michelin stars, and Henrique Sá Pessoa’s Alma are located in Chiado neighbourhood. In terms of culture, Lisbon is very lively too. There are excellent fado restaurants both in Alfama and Bairro Alto, while jazz fans should head to Hot Clube de Portugal close to Avenidas Novas area. It has existed since the 1940s and is known as the best jazz bar in town. Among the most interesting museums with changing exhibitions in central Lisbon are MUDE, dedicated to design and fashion, and the ‘National Museum of Contemporary Art’ in Chiado. Lisbon, being one of the sunniest cities in Europe, is also close to many beaches. Whether you enjoy surfing or sunbathing, there are many options in the direction of Cascais or in Caparica Coast across the Tejo river. Those who enjoy playing golf can visit the golf courses close to Sintra and Cascais. The closest golf course is located in Lumiar, less than ten kilometres away from Avenidas Novas. Lisbon’s lively centre with its restaurants, museums and music venues is just a few minutes away. Avenidas Novas is an excellent option for those who enjoy living in spacious and stylish apartments in a calm neighbourhood with high quality selection of shops, green spaces and cultural activities.